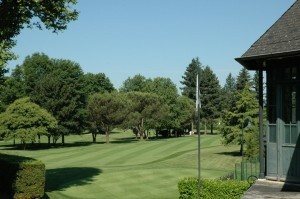 Established in 1856, Pau Golf Club is the oldest club in continental Europe. This course demands for good technique skills and concentration from the first to the last hole. Difficult fairways and fast greens. In addition to that it is one of the oldest golf clubs in Europe- in Anglo-Saxon style. There is an 18 hole course and three practice holes. The driving range has 26 bays, 15 of which are covered. This old fashioned Scottish style golf course will definitely brings you back to those amazing old golf days.